With advances in medical technology, people now live longer and healthier lives. Women are also able to have healthier pregnancies later in life. 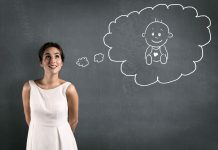 While pregnancies over the age of 50 are rare, they do occur both naturally and, more often, through medical interventions like IVF or egg donation. While this is good news for older couples who want to have natural children, should you put off your plans of starting a family? Read on to find out. A woman’s fertility peaks in her early twenties. But the right age to have a child does not depend on fertility alone. Some of the other factors that have to be taken into consideration are financial, emotional, physical, and social. Do you have the financial resources to take support a child? Do you have the time to take care of a baby? Do you feel emotionally ready to give birth? Do you have the support of family/ partner/ friends? What are your chances of giving birth to a healthy baby? Is there any risk to your health from the pregnancy? And most importantly, why do you want to have a baby? These are all the questions to be answered before you decide to try for a baby. Fertility declines rapidly after the age of 35, making it increasingly difficult to get pregnant, to stay pregnant, and to have a healthy baby. Even with medical assistance, the chances of having a baby decrease as you age. And the older the parents, the higher the chances of complications and birth defects. It is for you to decide what is the right time for you to get pregnant. And if you are over 40 and trying for a baby, make sure you talk to your doctor and follow our tips for getting pregnant after the age of 40.